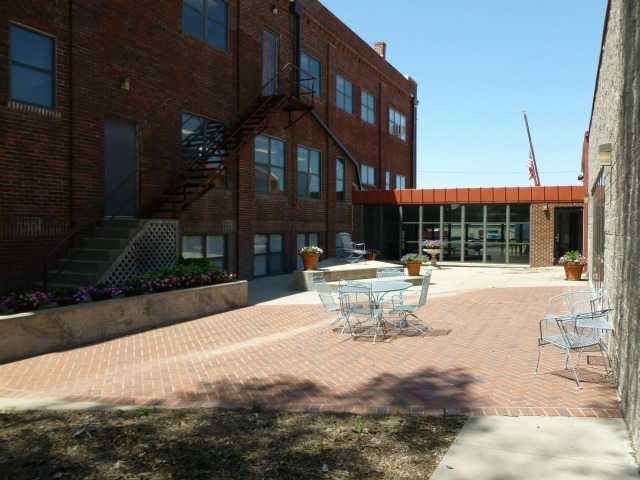 The lovely Linton and Ruth Lull Courtyard setting between the Library and the Srader Center was built to be used by the community. It is large enough for a large gathering and is protected by the wind. 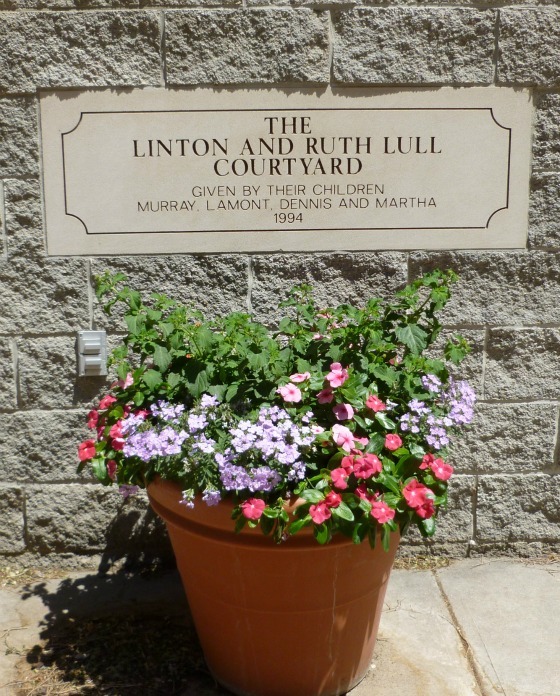 The courtyard was given by their children Murray, Lamont, Dennis and Martha in memory of their parents 1994. Linton was the President of The Smith County State Bank for many years before retiring when Murray his oldest son took over as President of the bank. They were very generous people to our community.